Among all the different garden duties you perform daily to keep your garden or yard looking amazing, monitoring garden pests is probably a task you wish you could eliminate forever. 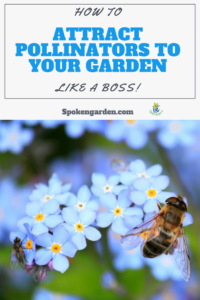 Unfortunately, every garden has its own interlopers, unwanted guests, and damaging denizens that could derail or utterly destroy your garden dreams in a very short amount of time. 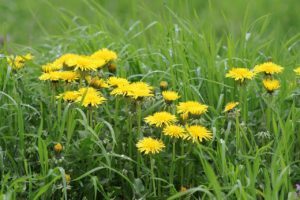 From taking bites out of your favorite plants' leaves, pushing up mounds of fresh dirt in the middle of your lawn, to turning leaves from bright green to black and slimy, pesky pests thrive where they shouldn't. In order to keep your garden looking it's best, you need a plan to maintain control. Which specific pests could be attacking your yard? How can you keep your garden free from invaders? In this post, we focus on various pests and highlight the strategies you should take in order to develop a plan of action. Now is the time to take back your garden! Be sure to check out our previous posts for winter pruning and mulching, as these can also help with keeping pests away, too! To get started, we have to back up a bit and "splain" a few things! For all general pest problems, there are many different ways to control or prevent them. This can involve non-chemical or chemical control methods, which can be wrapped together into a system of pest prevention that many professional landscapers and gardeners know as Integrated Pest Management, or IPM. We discuss this in more detail below. This "whole-picture" way of pest control includes different pest prevention, suppression, and eradication methods used to lessen or stop the damage to your garden. But First, What is a Garden Pest? Any living organism that has a negative effect on your garden or it's health is considered a garden pest. For example, a weed is a plant pest that can eventually outgrow and take over your garden area. 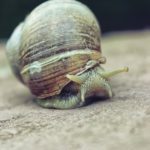 Another example of a garden pest is a slug who loves nothing more than to eat your plants and leave a slimy trail of destruction in its wake. 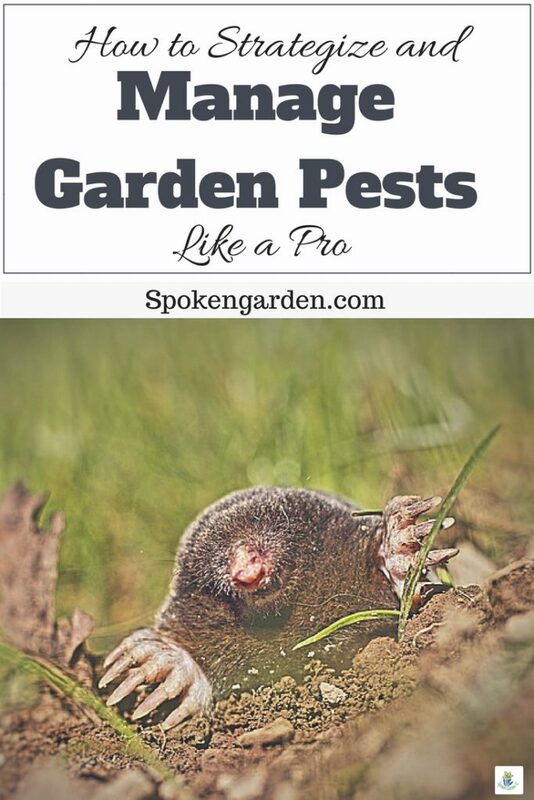 Pests can also be moles tunneling under your grass creating dirt mounds or insects chewing holes in your plant's leaves thus spreading diseases to plants. What a mess. A garden pest is any living organism that has a negative affect on your garden or it's health. Why do Garden Pests Show Up? Because there is easy access to your garden for whatever reason and they feel like they can take over. All of these reasons result in your garden not being it's beautiful, healthy, vibrant self. No one wants that to happen. How Often Do Pests Need to be Managed? Each pest is different and so are the circumstances. There isn't one plan or solution to fit all of them. For this reason, each pest needs to be briefly studied, observed, and then properly managed differently according to the damage it is causing. Some pests may only need to be treated once in a season, while other pests require consistent, on-going maintenance. Ultimately, prevention and control are the best strategies overall (spoiler alert). Some pests may only need to be treated once in a season, while other pests require consistent, on-going maintenance. Various methods exist for pest management, categorized into Physical or Mechanical, Cultural, Environmental, Biological, and Chemical. With a combination of all of these methods, you can create the best management strategy. Most of us go straight for the chemical control for any pest problem in their yards, and it's partially not our fault. We, as Americans, are always looking for the fastest, most efficient way to solve a problem. Reaching for the closest chemical bottle to alleviate a pest has become a "trained" behavior. 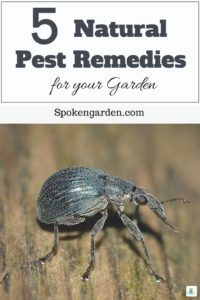 However, this form of management can create pest-vacuums, super pests, and/or lessen biodiversity in your garden to devastating effect, especially if you don't opt for non-lethal varieties. Before reaching for that bottle full of chemical, it's a better strategy to take a step back and look at your garden as a whole. What factors are making it conducive for particular pests? What are the optimum habitat needs for pests, such as food source, water, warmth, secondary pests, or any previous circumstances that are enhancing the pest's foothold in your garden? Furthermore, what good would spraying be if you don't first remove their habitat, food, or water source? Spraying with non-toxic, non-lethal chemicals should be your last step. For the purposes of our post, we will focus on or refer to three different categories of pests: animal, insect, or plant. Squirrels (ever notice those teeny, tiny holes all over your yard? Listen to podcast Ep6 beginning segment here). Now, let's get to planning! What: VERY FIRST THING, is what you are seeing normal? If this isn't normal, you can then move on to identify the problem or pest. What is causing your plants to have damaged leaves or stems, withering leaves or flowers, root-die back, defoliation, or other issues? Is there a pattern to what you are seeing, or is it uniform throughout a plant or group of plants? If there is a pattern or it's uniform, then you are looking at a non-living cause. You need to look for environmental, nutritional, or human causes to the issue, such as temperature or moisture extremes, snow, ice, salt, or even pesticides. If there isn't a pattern then the cause could be living. You need to look for insects, mammals, birds, bacteria, fungi, viruses, or other living organisms. Be sure you are very familiar with your plants and their characteristics so you know if there is an actual problem or if the plant is supposed to look like that. 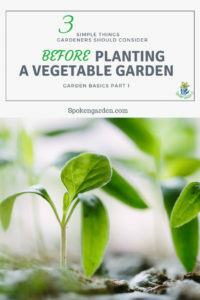 What: When you know the cause, you can then identify what your plant needs to thrive and look for those specific points in your garden before you can start making your strategy. Cultural Control - Keeping your garden clean of any decomposing or leftover debris from previous seasons is always a good idea. Keeping your leaves or stems picked up will lessen the chance of pest habitat or become a food source. Also, irrigation control and plant placement for species-specific needs should be adhered to. Environmental Control – Watch for soil moisture levels (flooded or drought), light levels (shade versus sun), the temperature difference (frost/freeze and burning heat), air-flow in and around a plants foliage or canopy, and any other natural stressers that could affect a plant. 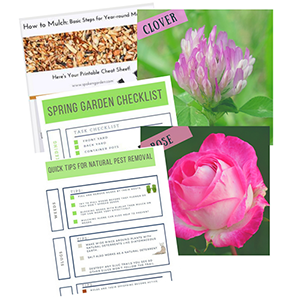 Keeping all of these at optimum levels for a specific plant will keep pests away because the plant won't be stressed and will be less susceptible to attack or infestation. Mechanical or Physical Control – These include physical barriers, hoeing and weeding, cultivating, weed-eating, or any other physical or mechanical method to prevent, control, or remove a pest. For insects or animals, this could be putting up netting to keep caterpillars contained or to keep flies and moths off apples or other fruit. Biological Control – These methods include using the natural predators of a pest for control. For example, parasitoid-wasps of aphids, lady-bugs eating aphids, goats eating ivy or blackberry, praying mantis controlling caterpillars or aphids, or others. Chemical Control – The use of natural or synthetic substances to prevent, control, or eradicate a pest. For example, a lot of people buy insecticides which are usually neuro-inhibitors that can be detrimental to honey-bees or other mammals. Other examples include soaps or oils, weed-killers, or even fertilizers. Using chemical control should be your last step for pest control. Used together with the other control methods can lead to the best result rather than using chemical substances alone. If you have exhausted all your Environmental, Physical, Biological, and Cultural control and preventative methods and still have the problem, then using some kind of chemical control is warranted. The link below is an affiliate but we recommend it due to its safety and non-toxicity. 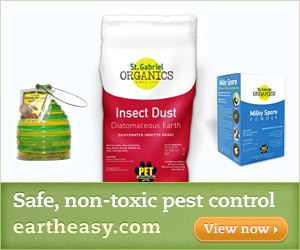 We have a puppy running around our yard so we are always on the search for pet-safe, Earth friendly products. What: Now that you have hopefully identified the cause of the plant damage, you can finally implement your strategy to prevent, control, or eradicate the pesky pests using the methods outlined in Step 2 above. Part of this strategy needs to include a specific level or threshold you, as the gardener, are comfortable with implementing. The time of year or seasonal implications for best pest control, like pest life cycle and susceptibility to environmental modifications. Using the correct tools, such as a hoe or garden trowel for weeding, rakes and a wheelbarrow for mulching, gloves to handle and dispose of debris, or nozzles and spray equipment for chemical applications. Potential impact on other plants or your garden surroundings. For example, will one predator to aphids also be a predator to a beneficial insect in your garden? Or, will one type of chemical treatment positively impact different plants or will it be toxic? Are the weather and temperature correct for the strategy? Whether your level of damage is on the low end or as high as half a plant or group of plants devastated by a pest, you will need to first determine this level of severity to know how best to approach prevention, control, and/or eradicate your garden pest. For the best pest control results, make sure to incorporate all of the control methods listed in step 2 as a whole-system approach. What are they? Plant pests. Any plant in your garden that you don't want. 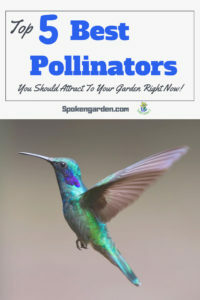 Why are they bad for your garden? These plants tend to out-compete desired plants and also use up finite resources like water, nutrients, space, and light. Control-how, Know-how: A combination of control methods from step 2 work really well to control weeds in your garden, including hand pulling, roto-tilling, soil modification, mulching, moisture, and denser plantings to shade/outcompete undesirable plants. Also, physically blocking weed germination in the soil with burlap or other fabrics with mulch on top can work very effectively. What are they? Animal Pests. Slugs are closely related to snails and other mollusks but without a hard shell. Why are they bad for your garden? 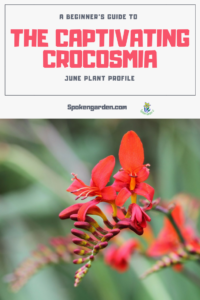 They feed on soft plant tissue of many ornamental and vegetable plants, eating the plant leaves and stem tissues literally down do almost stubs in some cases. Their signature mark is leaving a slimy film over the remaining parts of your plant and a slime trail to and from the feeding area. What are they? Animal pests. Moles are in the rodent family. They are blind, barely have any back legs and use their front legs more like flippers to dig, tunnel, and destroy. They eat mostly insects and earthworms. Why are they bad for your garden? Being under the surface of your garden, moles tunnel and can severe plant roots. As they move, they make their mole-hills as their excavated tunnel material gets pushed up to the surface. This makes a manicured lawn look like a serious of small bombs have exploded all over the yard and can seriously damage your lawn mower. Furthermore, due to their tunneling, they create pockets of voided soil where water can collect which can change your gardens water drainage and create uneven areas of our garden where the soil collapses. 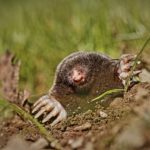 Control-how, Know-how: Moles can be controlled a few different ways besides trapping and killing them. It comes down to modifying their food in your garden so they don't want to visit and make a home there. We suggest using different forms of castor oil from the Castor Bean and apply it so it filters down into the soil. This works really well to deter and push moles out of your yard. The castor oil coats the mole's food so that it doesn't taste good and they leave for your neighbors' yard. HA! Having a well-rounded strategy to prevent or control pests in your yard is part of best gardening practices. Regular housekeeping and debris pick up can go a long way in helping keep insects and weeds out of your yard while not giving them a place to nest or make a new home. Once established though, modifying the garden environment, increasing desirable plant numbers to out-compete undesirables, using natural predators, and physically removing or blocking/netting the pest can all be effective control methods. Thanks for reading and we hope we inspired you or educated you in some way. For information about winter gardening, listen to our podcasts or check out our post about how to prune in the winter. Make sure to watch for next week's blog post regarding the 5 best natural garden pest control remedies.